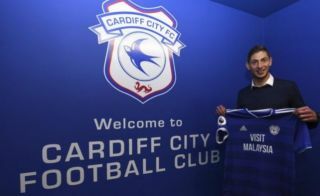 Neil Warnock has revealed that Cardiff City struggled to sign players ahead of the transfer deadline after Emiliano Sala’s disappearance. The 28-year-old and pilot David Ibbotson are still missing after the plane they were travelling in disappeared over the English Channel last month. As noted by the BBC, seat cushions believed to be from the plane were found on a beach two days ago, although the search continues to find the aircraft. While of course the most important thing in this situation remains the two involved and their families, and it is hoped that they are able to find closure, Warnock has admitted that Cardiff’s attempts to sign a replacement have failed as some transfer targets didn’t want to join. Given the tragic circumstances, it’s understandable, with many undoubtedly still struggling to process what has happened.